“CRAZY HOUSING…”campaign is continued with new motifs! 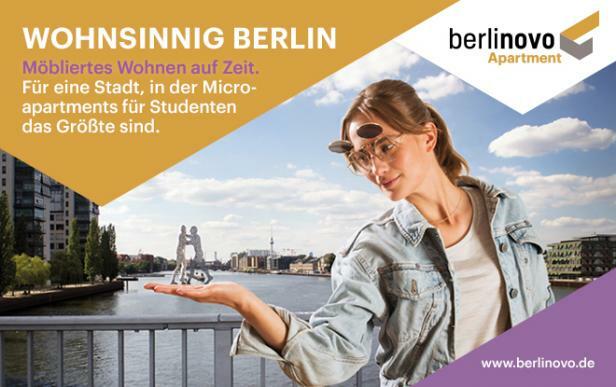 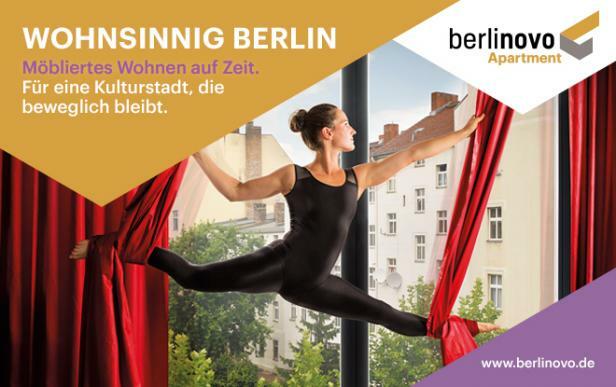 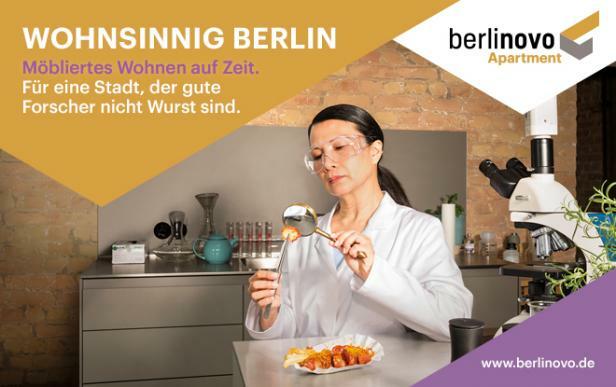 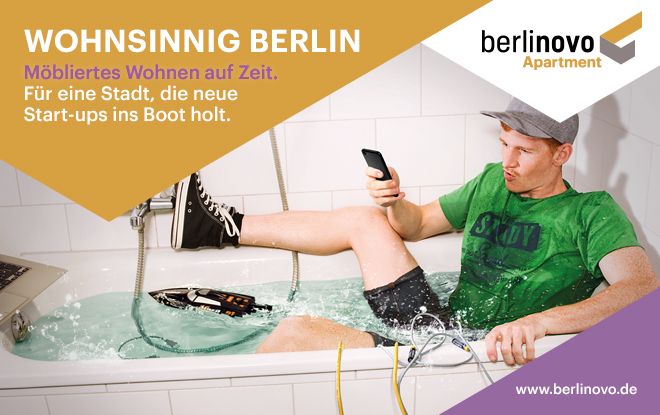 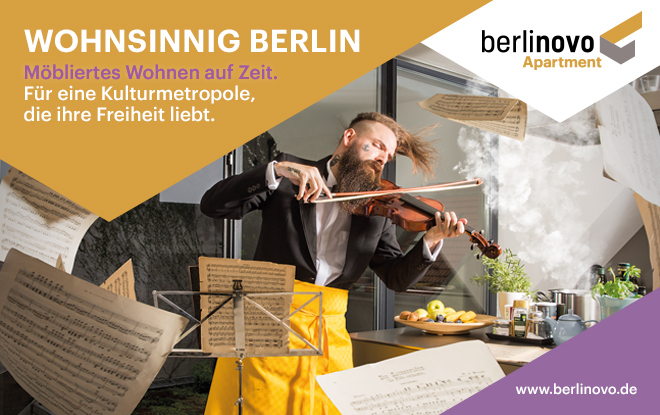 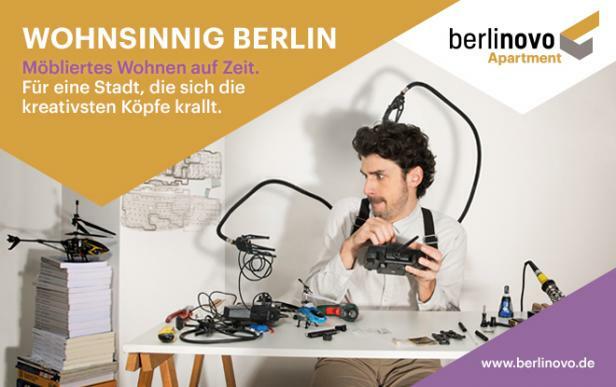 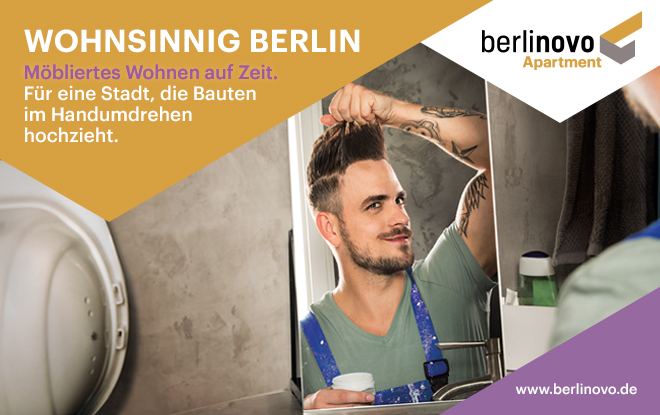 Since the market launch of Berlinovo Apartment GmbH in May 2014, we have regularly been seen in the Berlin cityscape and media with our “WOHNSINNIG” (CRAZY HOUSING) campaign. 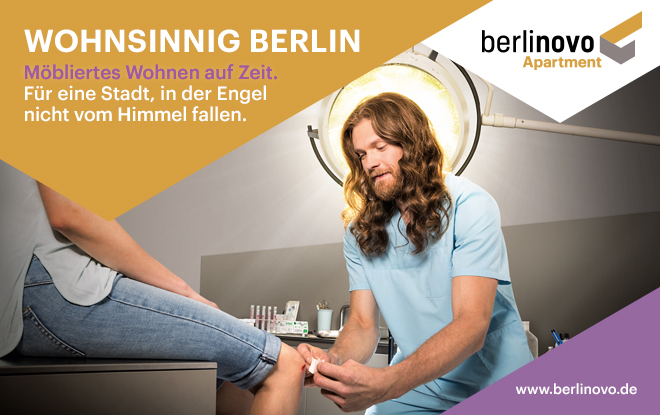 Following a collaboration with photographer Oliver Rath in 2015/16, we were fortunate enough to work together with photographer Catarina Rancho for the current campaign (http://www.caterina-rancho.com). 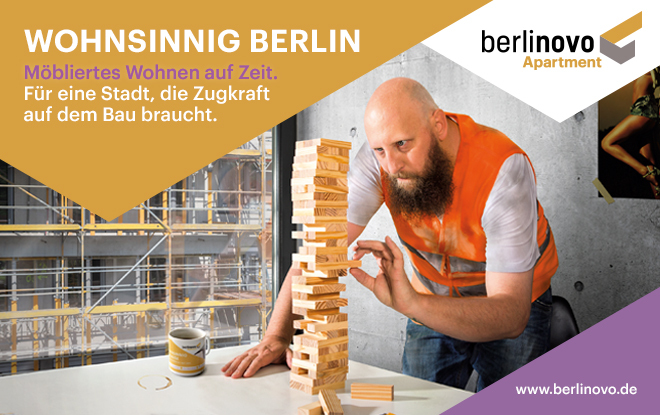 The aim of the campaign is to impress upon politicians and the media the great significance of berlinovo Apartment for the development of Berlin. 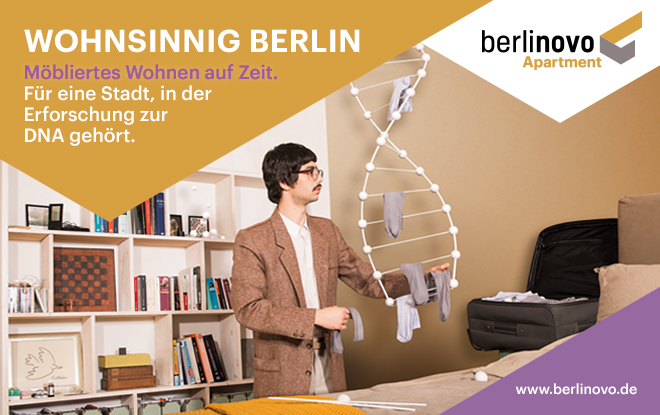 That is why our campaign message is: Berlin needs berlinovo Apartment! 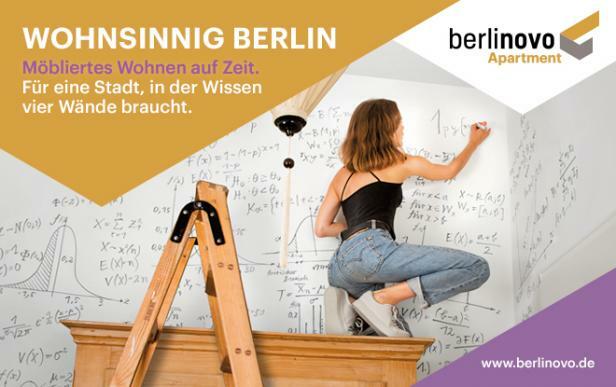 berlinovo Apartment is Berlin’s largest provider of “temporary living” solutions and many of the building blocks in Berlin’s financial, cultural and social DNA benefit from this living solution. 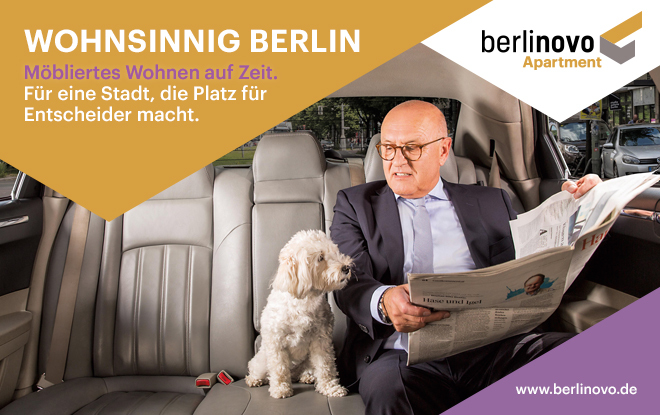 That is why a commitment to developing Berlin needs to be actively communicated at the highest level.